Just like our larger KX motocross models, the KX100, KX85 and KX85-II feature factory looks evocative of our works racers. The all-new bodywork, sharp graphics package and numerous factory-style touches contribute to a strong KX family image and warn rivals of the race-winning potential housed in all KX motocross models. 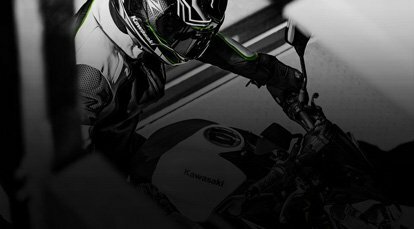 The new bodywork and graphics of the KX100 and KX85/85-II give them a strong resemblance to the larger KX models, enabling young racers to look just like Ryan Villopoto and other Kawasaki heroes when leading the pack. Revised front and rear fender designs match those used on larger KX models. Revised fork guards connect only at the bottom. The new design (same as that used on the KX450F/250F) helps prevent mud build-up. Kawasaki logo moulded into the plastic adds to the big bike image. 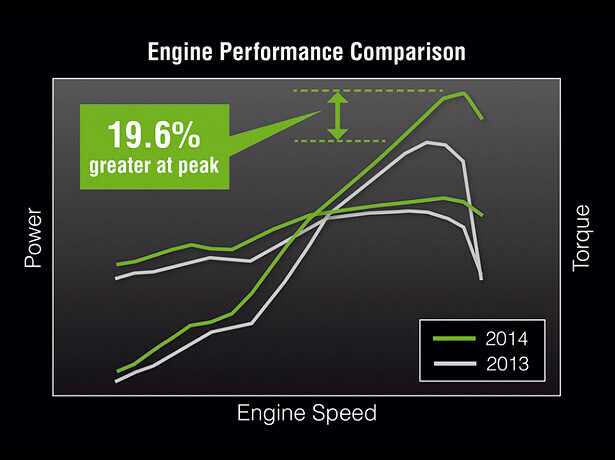 Changes to the 2-stroke racing engine result in increased power and torque across the rev-range. 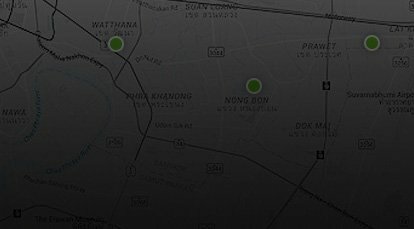 The gains are so significant that the engine can be considered a completely different unit from its high-revving predecessor. Carbon-fibre reeds with mesh oriented at 45o for ideal response characteristics. 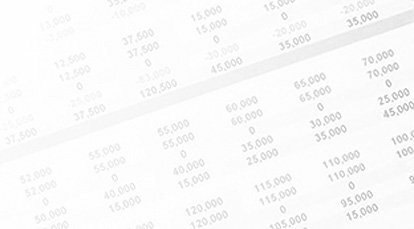 Reed thickness (0.42 mm) ideal for low- and mid-range response. Liquid-cooled, two-stroke Single engine with piston reed valve induction. Piston now features a single piston ring (previously two). The reduced friction helps to minimise mechanical loss. (200 mm >> 240 mm) and wider (110 mm >> 112.6 mm), offering a more than 50% increase in cooling performance (5.6 kW >> 8.5 kW) to match the greater engine performance. Environmentally friendly muffler reduces noise levels without sacrificing power. Steel wool layer between baffle and glass wool layer extends glass wool service life. Enclosed muffler-end shape resists mud-clogging. Complementing the increased engine performance, the chassis package benefits from numerous changes to the suspension and brake systems that allow young racers to ride at a higher pace. 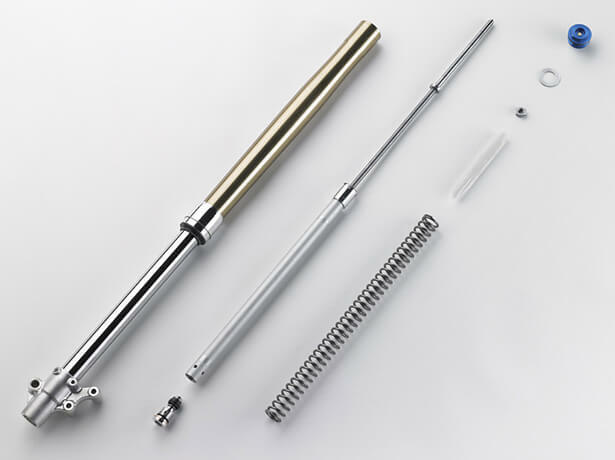 36 mm inverted front fork features revised valve construction that delivers improved damping and greater bottoming resistance. The new shim-stack type valves (the same style used on the larger KX models), updated from port-style valves, generate greater compression and rebound damping force (even over gaps), allowing higher-paced riding and contributing to increased ride comfort. Revised compression damping mechanism for the rear shock allows compression damping force to be generated at slower stroke speeds, contributing to a more stable ride feel. 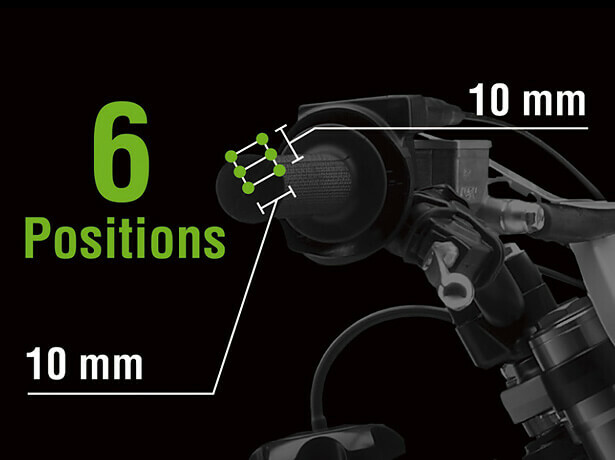 The new mechanism is 24-way adjustable for compression damping, 21-way adjustable for rebound damping. 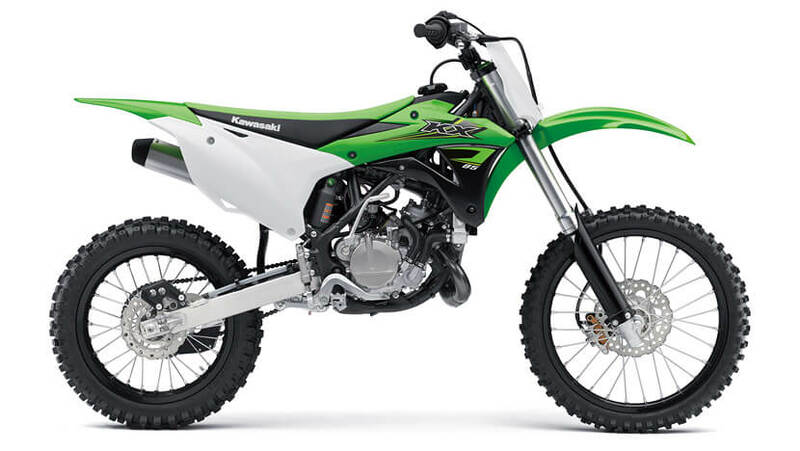 Completely redesigned bodywork follows the direction of the larger KX450F and KX250F. In addition to contributing to strong factory looks, the new parts form a slim ergonomics package that facilitates rider movement. 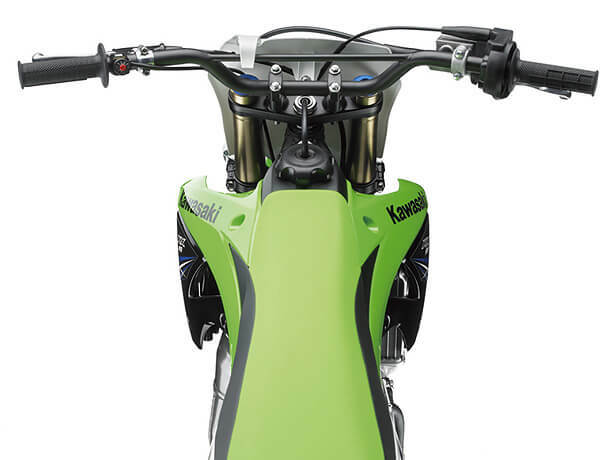 Slimmer (by up to 20 mm), flat-style seat, like on the KX450F/250F, makes it easier for riders to slide forward and back to adjust their riding position. Minimalist engine shrouds were designed to be small and are slim where they come in contact with the rider’s legs. 2-tone design was achieved using a double-injection moulding process. Seams between the shrouds, seat and side covers are very flush, which facilitates control as well as moving around on the bike. Revised handlebar bend contributes to increased riding comfort and control, enabling dynamic riding and catering to a wider range of riders. The ’bar is wider (720 mm >> 744 mm), 22 mm higher and 22.4 mm closer to the rider. Fuel tank features a flatter top that contributes to the improved ergonomics. New tank volume is 5 litres. A choice of six positions allows riders to tailor their riding position. An adjustable handlebar allows riders to custom-fit their riding position. Riders are able to choose from six possible handlebar positions. Collars offer a choice of three heights (STD, +5 mm, +10 mm), while reversible handlebar clamps allow two forward/rearward positions (STD, +10 mm FWD). 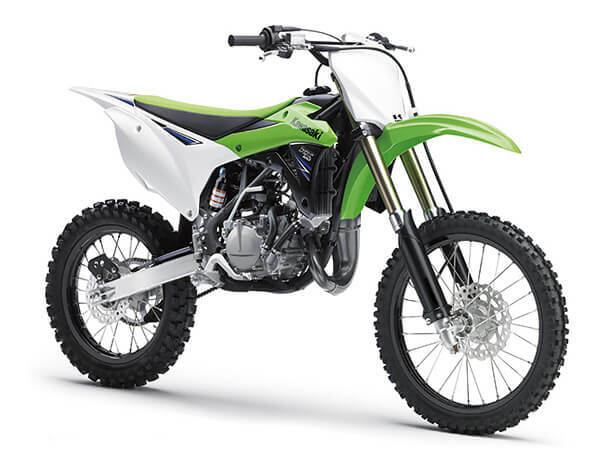 Riders can choose from two available sizes: the KX100F and KX85D feature 19” front and 16” rear wheels; the KX85C is equipped with a 17” front and 14” rear.